This special series is our brightest and most reflective graphic yet. Plate features racing team-oriented logos and graphics. The Sponsor Series plates look great mounted on the front of your vehicle or as a souvenir hung on the wall. 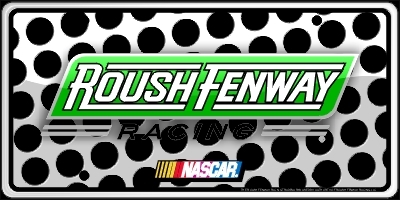 Roush Fenway Racing Trademarks used by authority of Roush Fenway, LLC.